Transfer fermented, but uncarbonated, beer from carboy to carboy or from carboy to keg. For those brewers that perhaps cannot lift a carboy or have issues with siphoning this is a great solution. Self-priming (will push air) so that it can draw out of a carboy or tank. Gentle diaphragm action so as to not "beat up" the beer. Made of food-grade, NSF approved, materials polypropylene and santoprene, so no metallic interaction with the product. Pumps 3 gallons per minute. 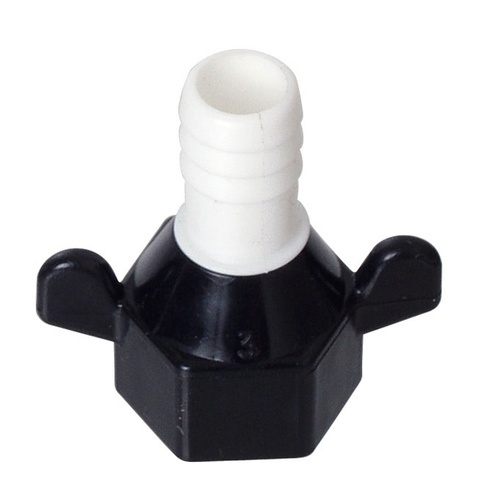 Flow can be restricted with an inline valve positioned on the outflow side. Self-regulating motor is designed to temporarily shut down, and then turn back on, when restriction pressure exceeds pump capacity. Has a heat limitation of 125 degrees Fahrenheit so cannot be used in brewing applications. 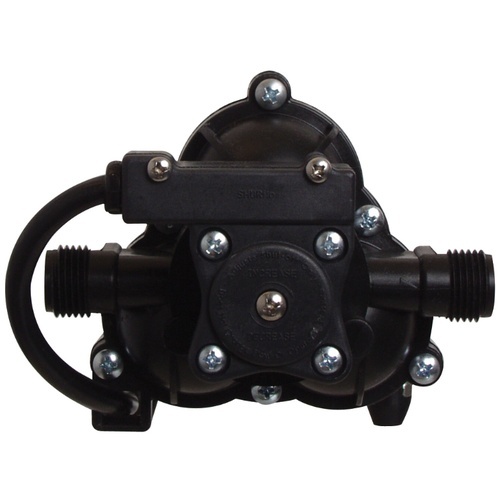 Shurflo brand pump is equipped with 1/2" Male NPT posts on the inlet and outlet. Does not include the plastic barb fittings you will need to purchase separately. Please see the "You Might Also Need" section below for our recommendations regarding which fittings to attach to the pump.